Jewish Battalion of the Ukrainian Galician Army (Zhydivskyi kurin UHA). The battalion was formed from Jewish militia units in the city of Ternopil during June 1919 as part of the Ukrainian Galician Army (UHA). It was commanded by Lieutenant S. Leimberg and initially was under direct operational control of I Corps Headquarters. The battalion reached a total strength of 1,200 soldiers, who were organized into four infantry companies, one machine-gun company, one engineer company, and other units. 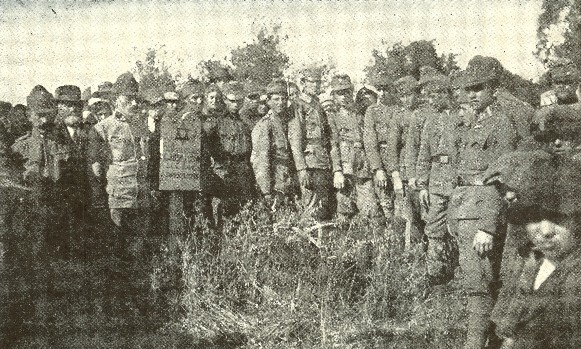 After basic training in Ostapie, Skalat county, the battalion was sent to the Polish front and was in combat from 14 July 1919. During the withdrawal of the UHA to the east, the battalion initially had responsibility for rear guard security and later participated in combat against the Red Army forces in Proskuriv and captured the town of Mykhalpil (Mykhailivka). In Vinnytsia the battalion's mission was to secure the city and the headquarters of I Corps. In the march on Kyiv in late August 1919 the battalion was attached to the 6th Brigade with the mission of gaining and securing the rail station at Sviatoshyne. In September 1919 the battalion was temporarily stationed in Berdychiv, where its actions in securing the town gained wide support among the local people. After transfer to Vinnytsia in late autumn 1919, the battalion was so decimated by the typhus epidemic that it was disbanded and its surviving soldiers were reassigned to other UHA units.